May 11 is a day set aside to recognize the contributions and sacrifices of the spouses of our U.S. Military troops. It is a day to honor those who are considered the backbone of the family, supporting their spouses wherever they have been deployed. President Ronald Reagan recognized the importance of military spouses in 1984 with Proclamation 5184. He was the first to speak about the role of the military spouse in the welfare and comfort of their family. Since then every U.S. President has celebrated the day each year, encouraging us to recognize not only military personnel, but to also recognize those who have been there to selflessly support their spouses. It wasn’t until 1999 that Congress officially made Military Spouse Day part of National Military Appreciation Month. Recognition of Military Spouses is now celebrated each year on the Friday before Mother’s Day. Just over 7% of military spouses are men. Military wives were discouraged from working outside the home until as recently as the mid-1980s. 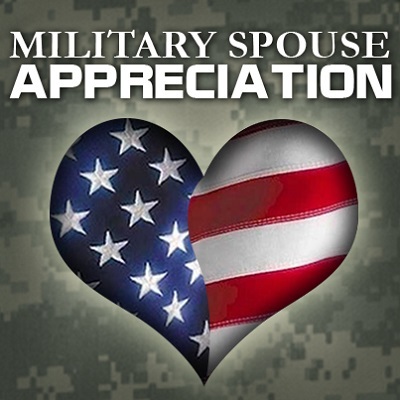 The first Military Spouse Appreciation day took place on May 23, 1984. Those in the military tend to marry at a younger age and have young children at home compared to civilians. Each year the U.S. President celebrates the day with a speech and a proclamation. On May 11, please join Veterans Commemoratives (vetcom.com) in recognizing America’s military spouses for supporting their loved ones as they serve our country. Since 1987 it has been our privilege to honor those who have served, as well as those who are currently serving in the U.S. Armed Forces by providing customized military rings, watches, jackets and gift items.